If it makes you feel any better, it's not an exclusive club. In fact, 25,690 mobile devices were lost in London alone between April 2017 and April 20181. We can only imagine what that number would be if we included the rest of the UK (and all of time!). Before we tell you about male phone losers, we should mention that, when we look at anyone who has ever lost a phone (even just once in their life) women only fare ever so slightly better than men. And, on average, marginally fewer women have lost more than 10 phones in their life than men —with guys making up 54% of these repeat offenders. 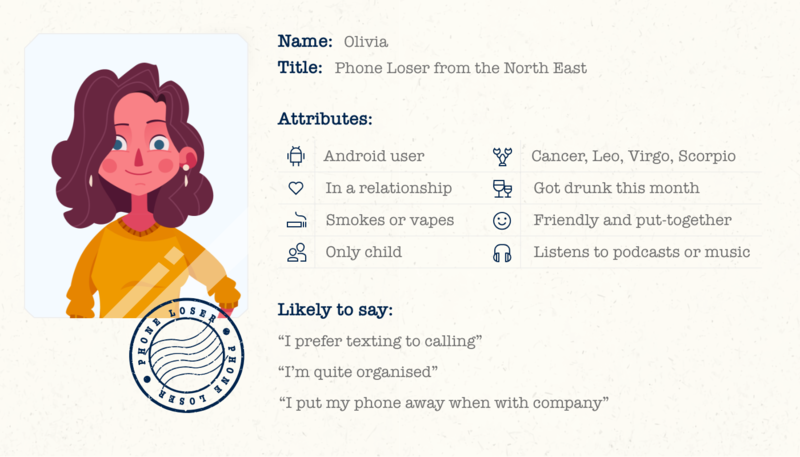 With just 4% in it, the ladies have narrowly avoided featuring in the top ranks of the Phone Losers Club. So, here's what we learnt about the men in Britain who edge out the women in their tendency to lose their phones. First off, the good news. The majority of men have only lost one phone in their lifetime. But, 45% of men have lost between 2-10 phones in their life – and, most often, it's been an Android device that they've struggled to keep hold of (only 33% have lost an Apple phone). Of workers who told us their profession, more male phone losers tend to be employed in IT or telecoms than any other sector (anyone sense the irony? ), and almost 3 in 5 of them are in a relationship (with 36% of them being married). 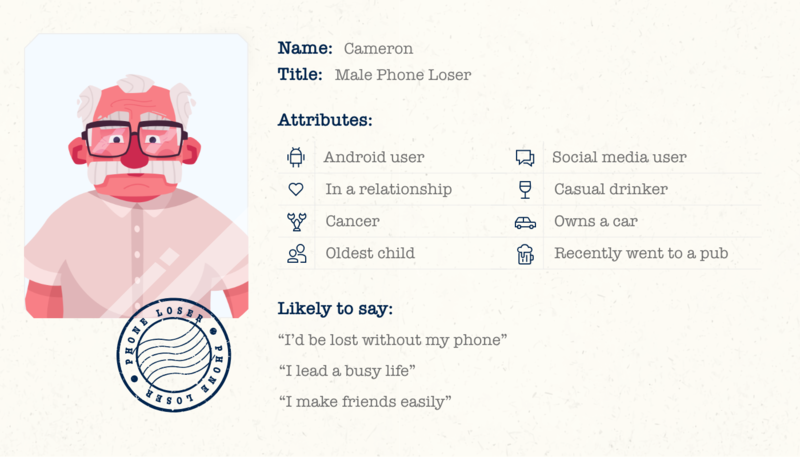 Interestingly, male phone losers are almost three times more likely to say they're in a relationship but looking than female phone losers (1.9% vs 0.9%). So, what about personality traits? Are there certain characteristics that make us more likely to lose our phones than others? This might be where the crux of the problem lies for our male phone losers. You see, this group passionately insist that they'd feel lost without their phone (54%) and tend not to lend them to their friends (49%). But, while they do their best to guard their phones, almost half of them say they make friends easily and like to zone everything else out when they're having a conversation. Plus, their love for their phones is slightly eclipsed by women, of whom 65% say they'd be lost without their phones. So, while male phone losers are great at making strong friendships (in fact, 65% claim their friends would call them reliable), alas it can also mean their phones are forgotten in the spirit of enjoying non-tech-based company. Try as they might, it does seem that our group of male phone losers haven't yet worked out how to reconcile their love for their phone with their tendency to be social butterflies. Just to put things into perspective, most people in the nation have — in total — only ever lost 2.4 phones. But a chronic phone loser has lost more than 10 phones over the course of their life. Some of us might not have ever owned that many. If you know a chronic phone loser or two, you might recognise these standout characteristics that define this elite group of hapless phone losers. As you might imagine, people who've lost at least 10 phones in their life don't tend to be the most 'sorted' of individuals. Compared to the average population of phone losers (who've only lost phones in the single digits) fewer chronic losers would call themselves organised, and more would admit to often running late. No huge surprises there then. Speaking of head-in-the-clouds, they also tend to be clustered in groups of star signs. While 16.7% are Geminis, four other signs are also popular within the group: Libra, Scorpio and Pisces and Cancer. So, if you're an Air or Water sign, you might want to keep an extra eye on your phone. Another factor that really sets this group apart is their fondness for exotic pets. Granted, nearly three quarters of them are dog owners, but dogs aren't their only pet of choice. There are just about four times as many snake and turtle owners amongst them too, with exotic birds, bearded dragons and even ferrets also making an appearance. 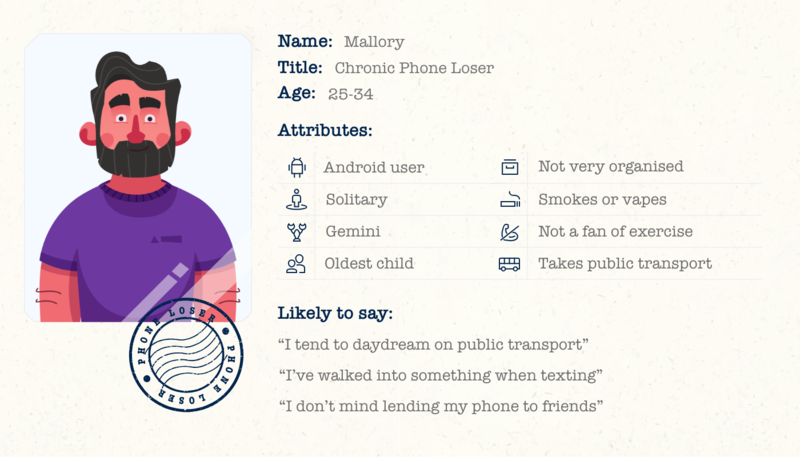 Chronic phone losers are also somewhat reclusive. While more of them (70%) take public transport than other groups (only half of them on average), they also like to ignore people when travelling (70%). With the group also admitting to finding it more difficult to make friends (only 2 in 5 say they make friends easily, compared to nearly half of our other respondents, on average), we can't help thinking there might be a connection there. But, there's one particular aspect of their personality that might explain all: chronic phone losers are more than twice as likely to lend their phone to a mate as people who have only lost a phone once. Their phones are clearly not something they're guarding with their life. Our quest to find answers about the nation's missing phones also had us wondering: are people in certain regions more likely to misplace their phone than others? People in the North East of England have lost their phones an average of 2.4 times in their lifetime. Which means if all 2.14 million people over the age of 16 in the North East2 had lost their phones at some point, that's 5.1 million phones unaccounted for. As for their personalities, we found that this group tends to be friendly, put-together and engaging. 7 in 10 of them claim to be fairly organised and say that their friends would describe them as reliable. With a similar amount of them saying they make friends easily, and 6 in 10 of them professing they lead a busy life, it's fair to say this is a sociable group. The phone losers in the North East of England also tend to be heavy social media users (9 in 10 of them, in fact), while over half of them like to listen to music or podcasts on their phone. We also found more phone losers from this region drink alcohol compared to other regions (in fact 44% say they got drunk in the last 30 days, compared to an average of over 33% across all other regions in the UK). With 6 in 10 phone losers from the North East of England admitting they'd be lost without their phone, this is certainly a group that would keenly feel the impact if their phone went missing again. In fairness, though, we should mention a few other regions with numbers that are similarly bad. The West Midlands, the South West of England and Northern Ireland all have a claim for having plenty of people who have lost a phone more than 10 times in their life. So, there you have it: the nation's biggest phone losers. But the truth is, phone losers come in all shapes and sizes – and every single one of us might join that not-so-elusive club at some point in our lives. Phones are slippery creatures (literally), so it pays to be careful, whether we own an Apple or Android device, are on a SIM-only deal or on a contract, or happen to have a chronic phone loser for a best friend. The silver lining in all this? Next time you think you've been ghosted, it might just be that your message has ended up in phone oblivion instead. * based on survey of 1,110 British adults in December 2018.